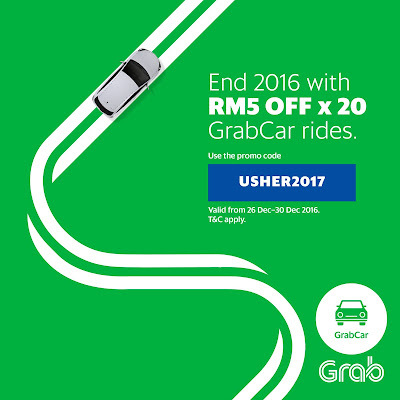 End the year with a bang with GrabCar’s year end promotion. From 26th–30th December 2016, book GrabCar rides to feast with your friends, catch all the year-end sales, and drop in on all the parties with RM5 discounts. Limited to 20,000 redemptions per day. Enter GrabCar promo code Usher2017 and book your ride. How is the RM 5 off calculated?